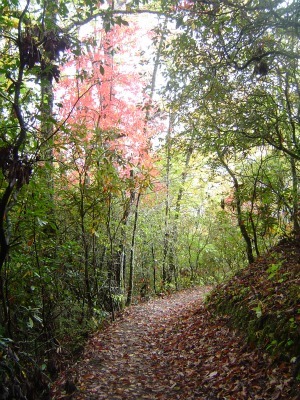 Fall hiking in the Smokies is a wonderful way to enjoy the cooler autumn days and beautiful leaf colors. 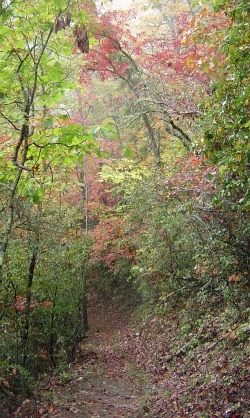 I usually go in October, but fall colors can begin as early as mid-September in the higher elevations. While the daytime weather is usually in the 60s and 70s, keep in mind that the nights can get pretty chilly. There are times when it's been in the low 30s in October. So, how exactly does this leaf changing happen? While every fall season produces beautiful colors, there are certain weather conditions that make for an outstanding color show. The best weather for amazing fall colors are days of bright sunshine and cool, not freezing, nights. A low amount of rain helps too. Again, there are no bad color seasons, just some are better than others. If you're visiting in mid-September through mid-October, try the higher elevation hikes. 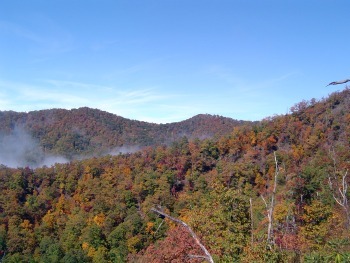 If you're visiting in mid-October through early November, seek out the lower elevation hikes.